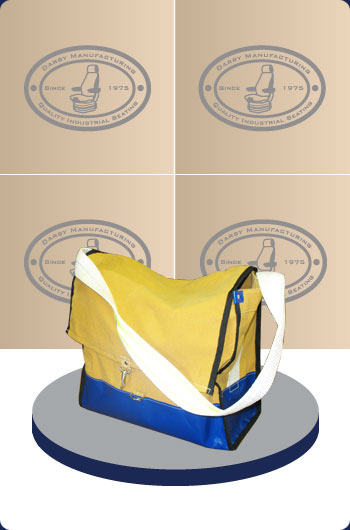 The 100-16 tool bag is one of our orginal designs made here at Darby Manufacturing. It's constructed of water resistant canvas and vintex for extra strength and is equipped with a sturdy shoulder strap made of webbing. This tool bag also includes an inside pocket with a flap and snaps to keep things neatly in place. For further information, please contact Darby Manufacturing Ltd.